As discussed in a recent New York Times article, a study regarding Millennial men (men aged 18 to early 30s) found that although these young men desire to have an equal share in parenting and domestic roles, such idyllic thinking becomes difficult once faced with familial and real-world responsibilities. Departing from the generations of men before them, these young men have a much more “egalitarian” attitude when it comes to sharing domestic responsibilities. However, according to the study, the desire of these men to share equally in family caregiving is cut short by their workplace policies and arrangements. Unlike women, the majority of men do not benefit from workplace policies that allow for caregiving, such as paternity leave. Although certain companies, such as Netflix, are expanding their parental leave policies for new parents to both men and women, many companies do not allow the same leave for men as they do for women. Or if they do, it is not openly advertised to the male portion of the workforce, which can lead to men feeling stigmatized for asking for it. The study concluded that due to gender-based workplace policies and realities, these equality-seeking men are forced into traditional gender roles as the primary breadwinner. In a survey of these men, those with children already were more likely to think that traditional parenting roles were preferred in contrast to men without children who preferred a more egalitarian parenting plan. One thing that will not change is the need for cooperation between spouses when developing parenting plans in the event of divorce. Given the shift in parenting roles and ideals, how will the Millennial attitude influence parenting plans in divorce settings? Because developing a parenting plan is a unique and personal decision, the Millennial shift in attitude should only affect each person’s own family and personal beliefs in parenting. In any event, working with your spouse to create a visitation schedule or other parenting plan is important for your children and will avoid court intervention. 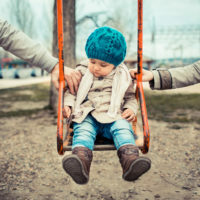 With changing attitudes on child rearing, a factor that may influence younger parents’ decisions on parenting plans may include whether one parent’s employer allows for flexible or remote work hours that would allow one parent to take on the caregiving responsibilities at different times. The increased use of technology in the workplace allows many parents to work from home or to work more flexible hours to allow for caregiving. With these advances, this younger generation of parents may in fact be able to have more equal caregiving roles in the event of divorce. Whatever the case, achieving fair and meaningful visitation schedules and parenting plans is important for both the parents and the children. A typical parenting plan will require that you think about all of the different time you spend with your children: holidays, overnights, daily activities, outdoor activities, etc. The need for regular structure or more flexibility will depend on the age and activities of your children. An infant will need a more regimented schedule, whereas a teenager’s schedule might be more flexible. Some parents will choose to split up the week, and others will alternate weeks. Holidays and summer vacation should also be considered when devising a parenting plan. Will you split holidays? Can you spend them together? Again, developing a parenting plan is as unique as your own family: no two plans are alike. Although your lawyer can assist you, you will need to work with your ex in order to develop a plan that works for your family. If you have questions about divorce, child support, or child visitation, please contact our firm to find out how we can help you.